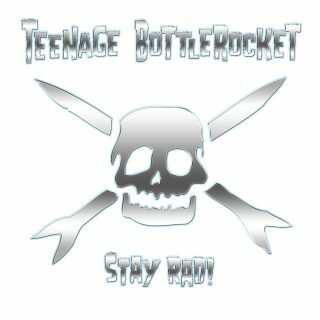 Teenage Bottlerocket : Stay Rad! album download | Has it Leaked? The eagerly anticipated follow up to 2015's "Tales From Wyoming" by masters of the three chord arts, Teenage Bottlerocket. While 2017's "Stealing The Covers" was the first appearance of the current lineup, "Stay Rad!" is the first album of new, original material to feature 'new' member and drummer, Darren Chewka. Chewka joined the band following the tragic and untimely passing of founding member Brandon Carlisle, twin brother of guitarist/vocalist Ray Carlisle, in 2015. The lead single, "I Wanna Be A Dog" adheres to the classic formula TBR has perfected over their nearly two decades as a band and is likely a good indicator of a new batch of some the catchiest songs, this side of the Ramones.